With summer quickly approaching (and finals with it), it can be easy to get caught up in the school grind and forget to give yourself a break every now and then. It can also be easy to completely ignore any –and all– responsibilities, and completely blow off studying. We genuinely hope you don’t fall into either of these traps. If you do find yourself in need of a break, however, we’ve got the perfect fix: music. Conveniently, numerous Christian acts will be performing in the area throughout the entire spring 2019 season. Please enjoy our curated list of local concerts below, featuring an event for just about every niche; from rock to worship to hip-hop to folktronica. Just over a month before the class of 2019 turns their tassels in the very same building, the brilliant minds behind “Here as in Heaven,” “Do It Again” and “Only King Forever” will be bringing an unforgettable night of worship to Overlake. The worship outfit will be joined by contemporary worship singer/songwriter –and husband of Kari Jobe– Cody Carnes. Get tickets here. 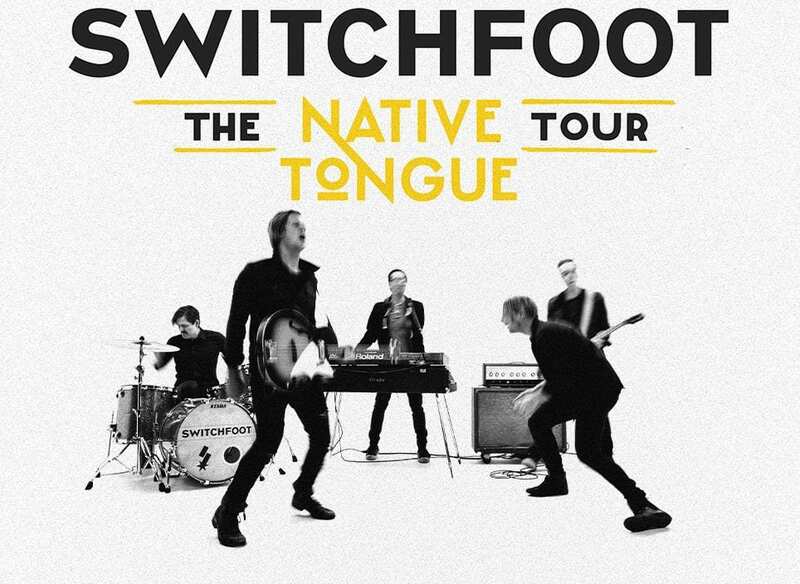 Before they head off on their summer tour with Bon Jovi, the crossover Christian band Switchfoot will be making a two day stop at Seattle’s Neptune Theatre in support of their 11th studio album Native Tongue. Both shows have Colony House and Tyler Motsenbocker on the bill as support. Tickets here. Right on the heels of the film his story inspired (I Can Only Imagine), Bart Millard will be hitting the stage with MercyMe at Kent’s ShoWare Center. The band will be joined by folktronica giant Crowder, with additional support from Christian pop singer Micah Tyler. Tickets can be purchased here. The worship collective responsible for numerous chapel favorites (“No Longer Slaves,” “King of My Heart,” “Ever Be,” “Jesus, We Love You” and beyond) will be coming through Seattle for the first time since 2016 for a few hours of intimate worship. Bethel will be joined by Grammy-winning singer Tasha Cobbs-Leonard, and you can get tickets here. In an undeniably stacked lineup, the Grammy-nominated duo Gungor will be joined by the aptly-named band The Brilliance and the uber-talented hip-hop/spoken word artist Propaganda for their “End of the World Tour” stop in Seattle. Chop Suey is a smaller-sized venue, so get a jump on this one and grab your tickets before the show inevitably sells out! A mere two weeks after his sons’ band performs at the exact same venue, CCM legend Steven Curtis Chapman will also coincidentally be taking the stage at the UW-convenient Neptune Theatre. Chapman is slated to perform his greatest hits, but the event will be directly following the release of his album Deeper Roots: Where the Bluegrass Grows. Tickets can be found here. A few weeks after finals come to an end, Australia’s most well-loved worship band will be performing at the ShoWare Center for their first show in the Greater Seattle Area in over three years. UNITED will be playing music from their fifth studio album Wonderand will be supported by Amanda Lindsey Cook (of Bethel Music) and Mack Brock. Get tickets here.